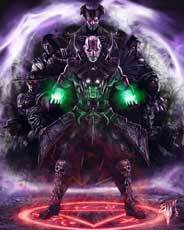 Quan Chi is a playable character from the Mortal Kombat games by Midway Games Chicago and Netherrealm Studios (Since MK9). 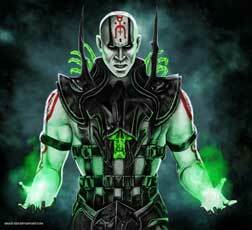 He appeared the first time in Mortal Kombat Mythologies: Sub Zero (1997) in which Quan Chi was the main antagonist. 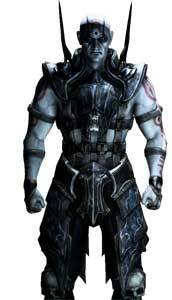 Quan Chi was the first time playable in Mortal Kombat 4 in 1997 and returned in Mortal Kombat Deadly Alliance (2002) where he formed the final boss pair together with Shang Tsung. 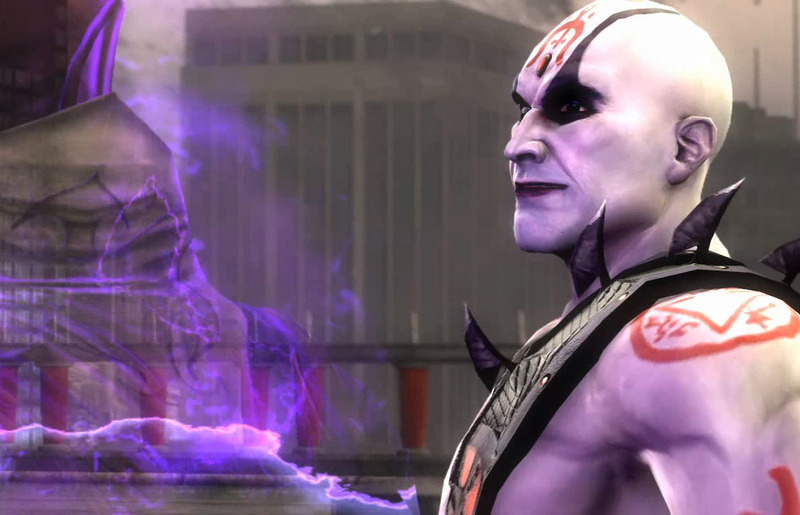 Quan Chi seemed to be killed at the events of Mortal Kombat Deception (2004), but returned in Mortal Kombat Armageddon (2006). 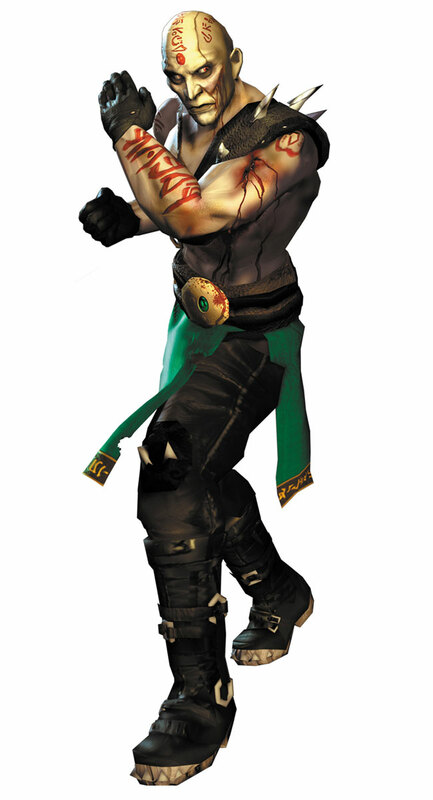 In the fighting game crossover Mortal Kombat vs. DC Universe (2008) he made only a cameo during the story while he was again returning in Mortal Kombat 9 (2011) as an unlockable character and siding with Shao Kahn. 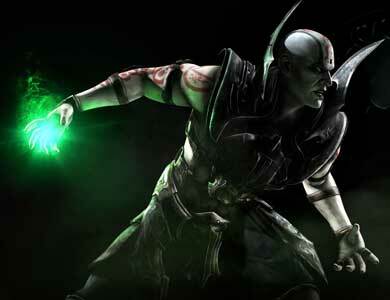 He was revealed to return in Mortal Kombat X (2015) where he plays a large role in the story. 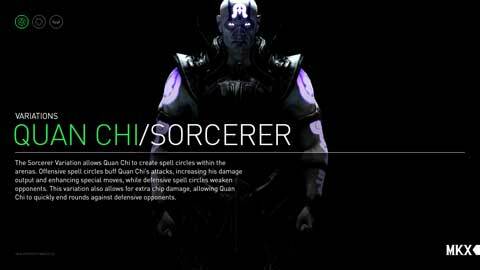 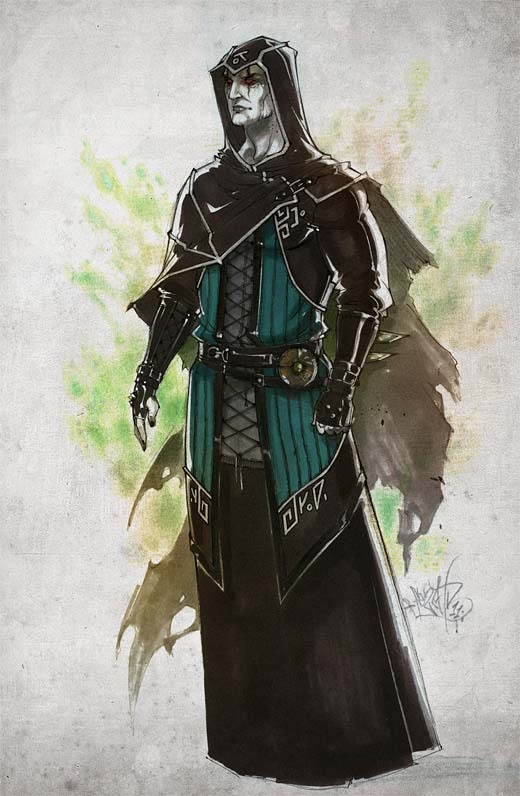 Quan Chi is a sorcerer who can revive dead life forms and also summon demons from the Netherrealm in MKX. 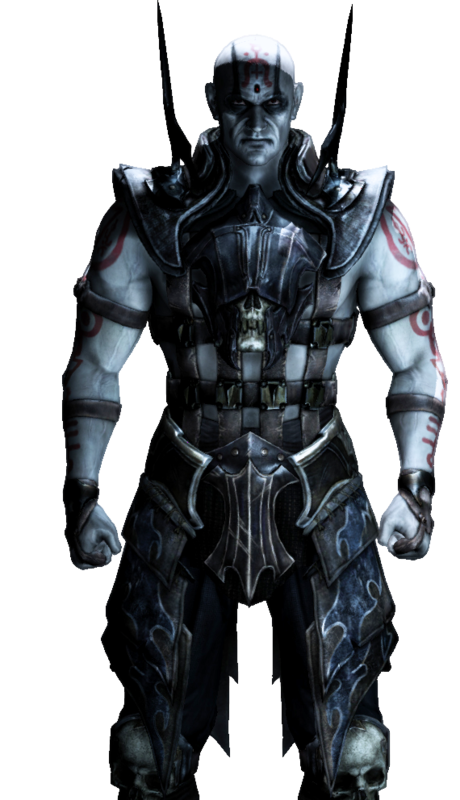 Unlike other antagonists in the Mortal Kombat games his targets remain often mysterious and he seems to use even the main antagonists of the games like Shao Kahn or Shang Tsung for his own goals. 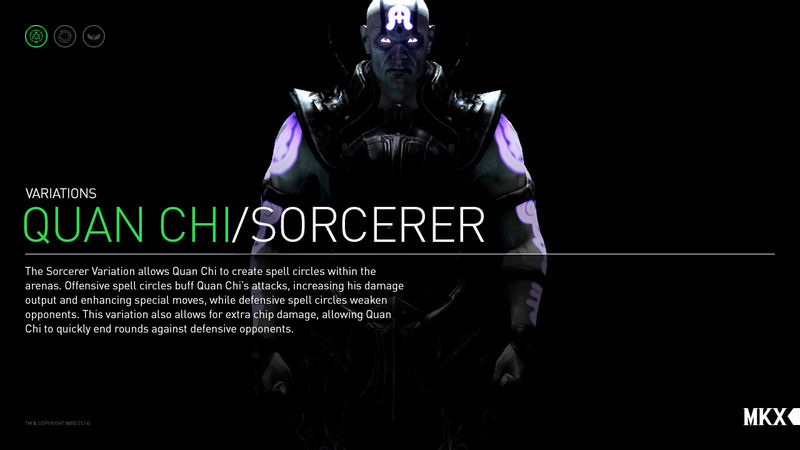 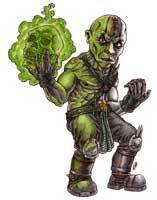 The Sorcerer Variation allows Quan Chi to create spell circles within the arenas. 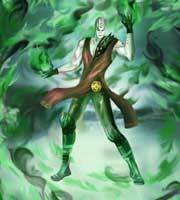 Offensive spell circles buff Quan Chi’s attacks, increasing his damage output and enhancing special moves, while defensive spell circles weaken opponents. 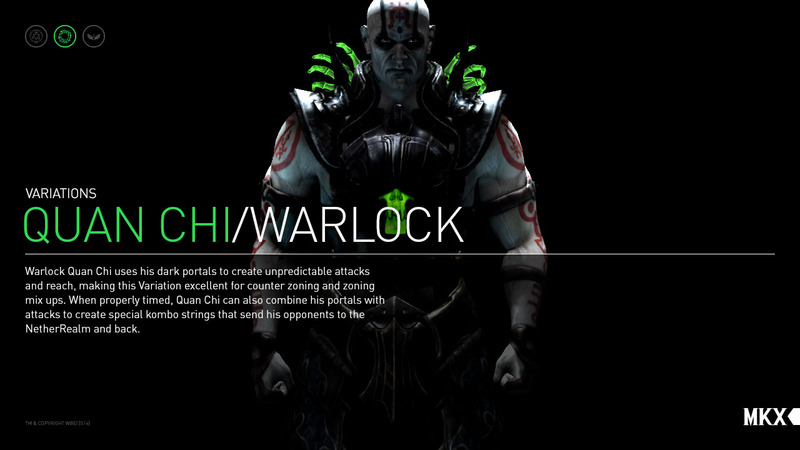 This variation also allows for extra chip damage, allowing Quan Chi to quickly end rounds against defensive opponents. Warlock Quan Chi uses his dark portals to create unpredictable attacks and reach, making this Variation excellent for counter zoning and zoning mix ups. 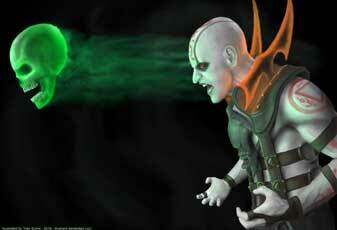 When properly timed, Quan Chi can also combine his portals with attacks to create special combo strings that send his opponents to the Netherrealm and back. In his Summoner Variation, Quan Chi can summon a demonic beast from the NetherRealm to fight by his side. 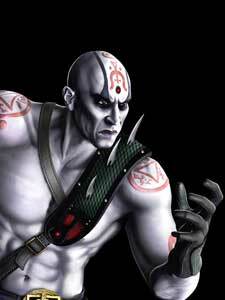 When deployed,Quan Chi’s minion brings an additional set of ranged attacks to his already diverse arsenal. And when summoned at the end of combos, the demonic beast gives Quan Chi additional options for post combo strings. 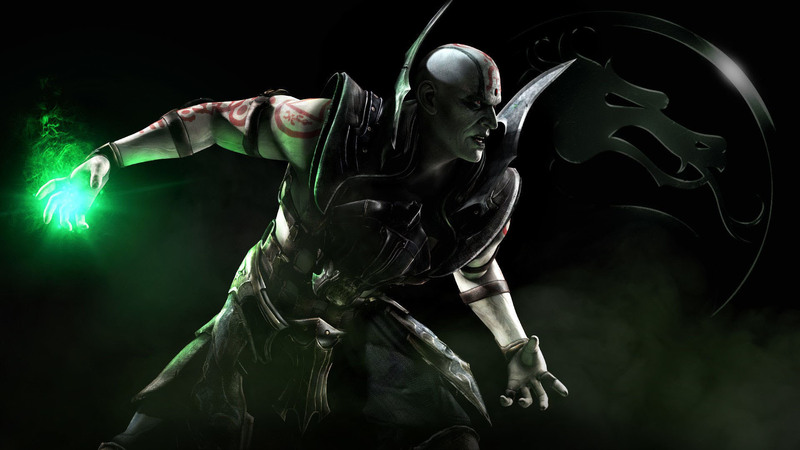 01.12.2016 – Finally a header image of Quan Chi added during his triumph in Mortal Kombat 9.